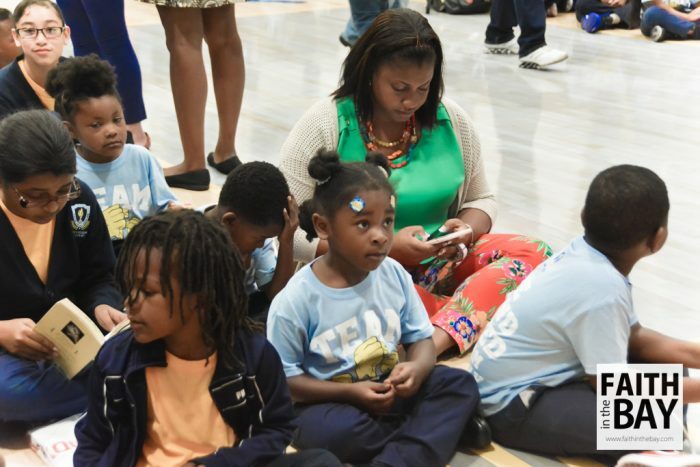 The students of West Oakland’s Kipp Bridge Academy were in for a treat. 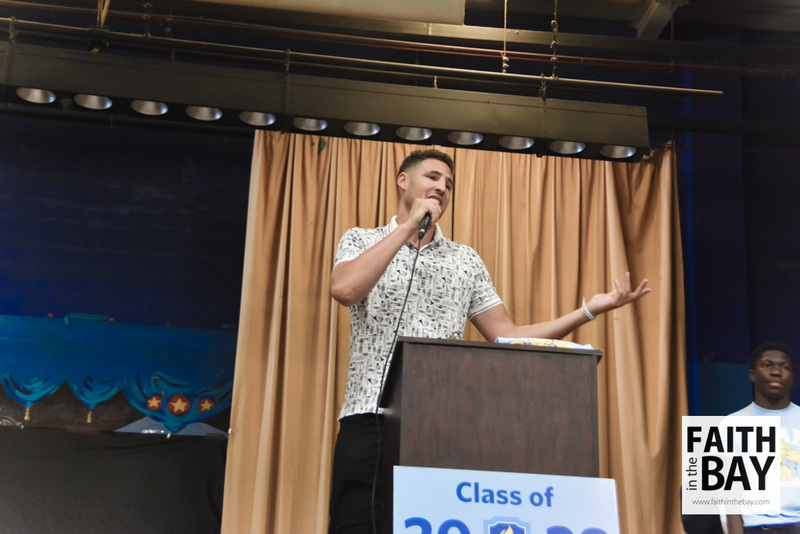 The room was buzzing as the students began to fill in line by line, and quickly turned to excitement as Klay Thompson walked out on stage. 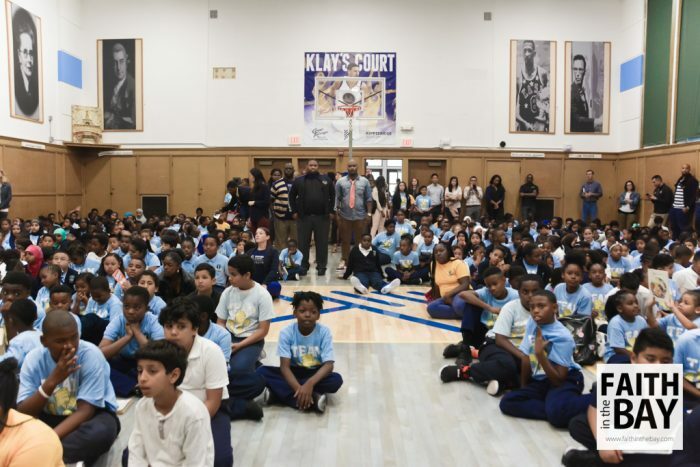 Dubbed the “Klay Thompson Court” the Golden State Warrior’s guard donated funds to refurbish the space and rec room. 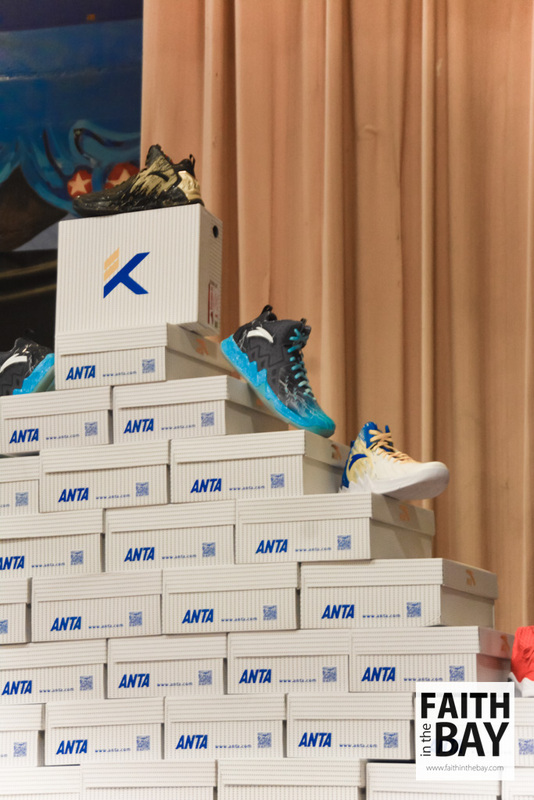 Since 2011, Klay has been giving back locally through the Good Tidings Foundation, and Kipp School. 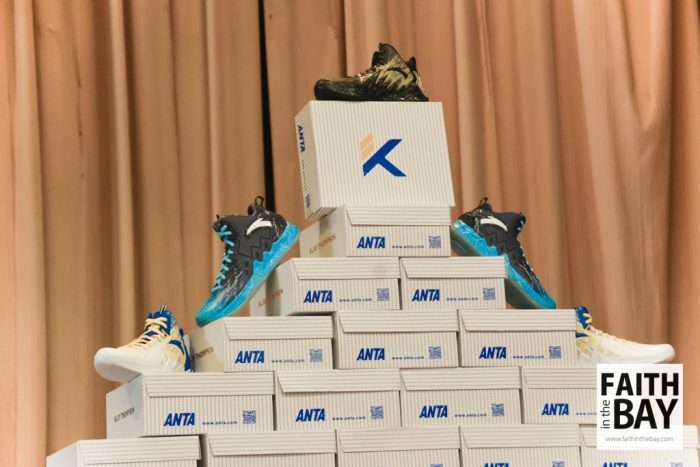 The room erupted again as students learned they would each receive a pair of tennis shoes from Klay Thompson’s line, produced by Anta, and Warriors licensed bracelets from Rastaclat. Water bottles and towels were also provided by BodyArmor. 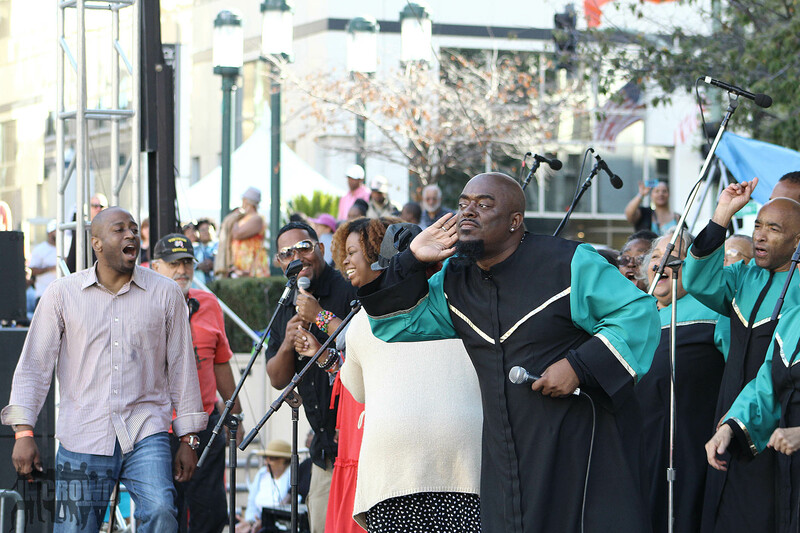 Following remarks, and answering a few questions from students, he came off the stage and began to engage with the students on the court. 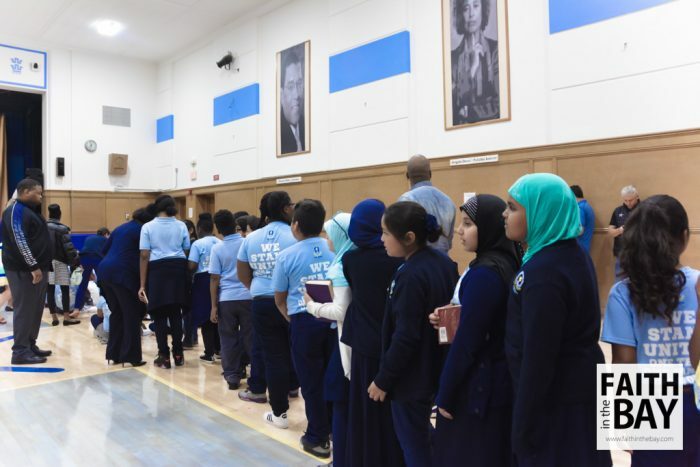 Following the first celebratory basket on the “Klay Thompson Court”, students lined up for a round of baskets with the two time Finals champion. 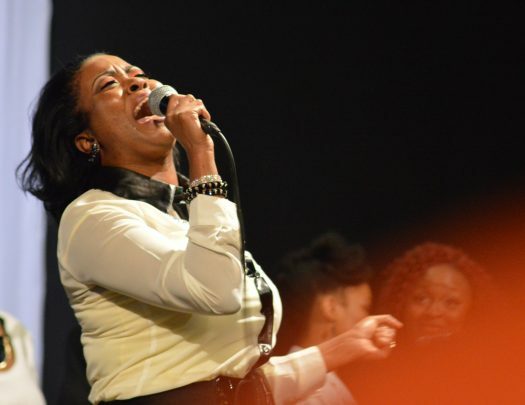 Lena Byrd-Miles, Popular Bay Area Gospel Singer Lands Label Deal with Warryn Campbell’s My Block Inc.